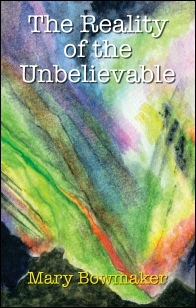 The Reality of the Unbelievable is Mary Bowmaker’s latest book, and will enable you to prove for yourself what, deep down, you already know; your spirit is the real you; bring it to the fore, reconnect if you need to, it’s easy. A former professional musician, both teacher and performer, Mary Bowmaker has always loved writing, small successes over the years encouraging and inspiring her to write her first book A Little School on the Downs; a record of the life and work of a headmistress and her school in Victorian England, and her successful Is Anybody There, and Leaning on the Invisible her first two books about the paranormal. 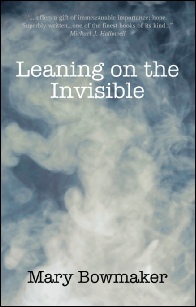 Leaning on the Invisible is Mary Bowmaker’s previous book, a fascinating introduction to the unknown, a portal into another world which, if we fail to walk through it, leaves us immeasurably impoverished. 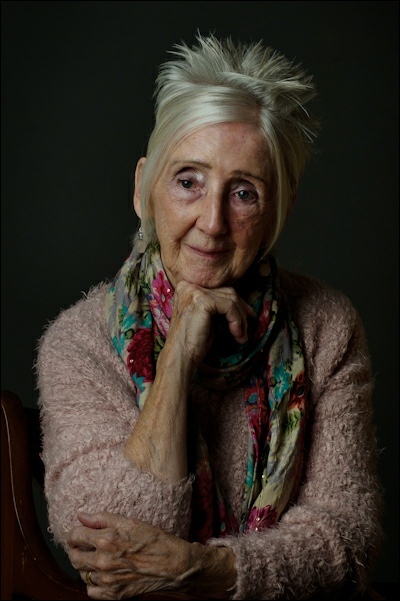 A former professional musician, both teacher and performer, Mary Bowmaker has always loved writing, small successes over the years encouraging and inspiring her to write her first book A Little School on the Downs; a record of the life and work of a headmistress and her school in Victorian England. 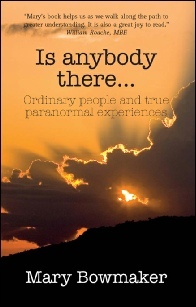 Is Anybody There…, a book recording true experiences of the paranormal, is a subject close to her heart since childhood when she listened to the experiences of grown-ups and especially her grandmother who was a natural medium. Since then, her love and interest in the subject has blossomed into serious research which has become the most fulfilling part of her life, along with her desire to pass on to others great truths and experiences which should be told.